We are a "tea experience company," said Allen Han of his company, Teforia. I spoke with Allen a few weeks ago while he gave a live video demo of the Teforia tea brewing device. The machine is beautiful. It's got a modern aesthetic but it reportedly produces a very good cup of tea. 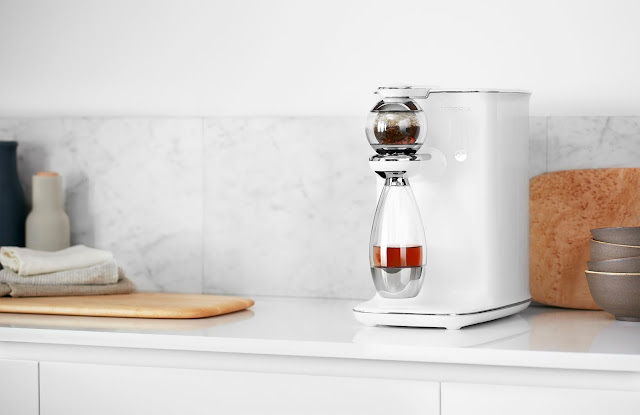 (Tea specialist and historian Jane Pettigrew and Samovar Tea founder Jesse Jacobs endorse the device. )Water quantity, water temperature, and infusion length are critical variables in determine the taste and flavor of tea. The Teforia device exactly manipulates these factors and others to produce a "symphony of flavor" in each cup of tea. 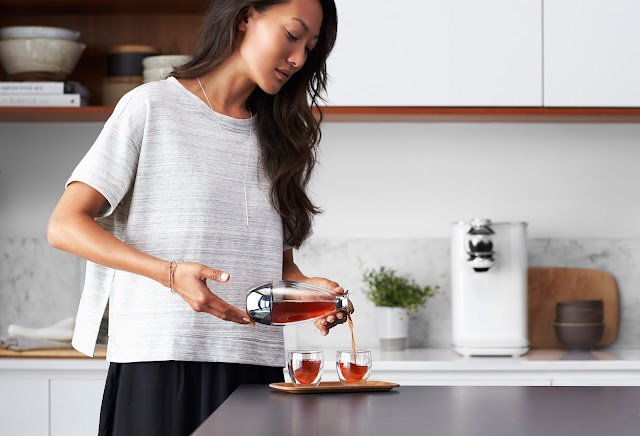 The device uses proprietary Selective Infusion Process (“SIP”) to precisely prepare teas. Each tea has a recipe tag. The consumer scans the tag before inserting a single-origin tea pod into the machine. (Although there is a recipe for each tea type, consumers can customize the default recipes to suit their palates.) Recipes are comprised of courses. Each course is an agitation plus a decantation. The multiple-course system ensures that each serving of tea has the correct complement of flavors for that particular tea. For example, a sencha would go through five courses before being completely infused. Tea drinkers will taste savory and sweet notes. Going back to design of the device, the infuser globe and carafe are made from double-layer corsica glass and stainless steel. The transparency of the glass enables the consumer to visually engage with the tea making process. 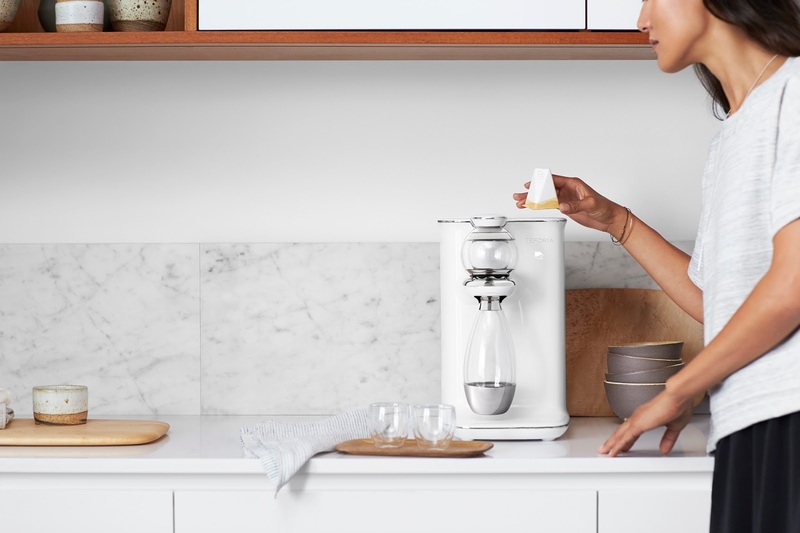 A few neat things about the device: (1) you can use your own tea, (2) the machine heats water in 15 seconds so your tea will not be made with preheated water, and (3) for all you tech geeks, the customization of tea recipes is done through an app. I especially appreciate that the tea pod is made of paper pulp so it can be recycled or composted (depending on your community's policy). You can watch a press release video of Teforia. The first batch of the tea brewing device has sold out. A limited second batch has been released. Each device is $699. All images courtesy of Teforia.